MerlinVision Help train Merlin® to identify birds. Photo ID in the free Merlin app can already identify 1,700+ species of birds. You can draw boxes and help us expand the list! 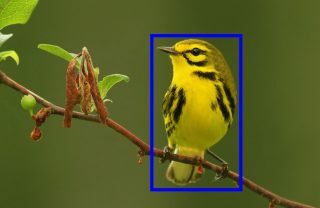 Teach MerlinVision to identify more species, and improve accuracy, by drawing a box around a single bird of the target species in each photo. This project generated the data needed to teach Merlin to find birds in a photo, and is now being analyzed by our Visipedia team.